We live in an age of science. And bodybuilding in our age has felt the impact of this. We have workouts which are claimed to be scientific, routines which are formulated via scientific principles, incorporating the latest scientific data, directly arrived at from the disciplines of physiology, kinesiology, biochemistry, and even medicine. We have machine training, advanced scientific exercise techniques, and all kinds of information that, it is claimed, is as close to exact formulations as we've ever had for working out, eating, and gaining muscle, for any bodybuilder who will avail himself of this. We supposedly are so close to absolute certainty in bodybuilding training and nutrition that some would like to regard bodybuilding itself as a science. So, what's the problem with this? The problem, for many bodybuilders, is that this type of information, however well-intentioned or even theoretically alluring, fails to deliver the kind of results most of us are striving for. How about only heavy weights building muscle? How about the pump having no training value? What about the superiority of machine training? What about the same sets, reps and exercise for everyone? How about precise, calorie-counted formulaic diets? Some of these recommendations have been claimed as exact, scientific prescriptions, applicable to all bodybuilders at all times. But, he application of what is regarded as scientific training knowledge has not often served us bodybuilders all that well. While some have been able to successfully incorporate portions of this information into the training, the experience of so many others has been an unproductive one, adding to confusion and frustration and perhaps even preventing them from achieving better results. And the most disturbing trend along with this is that you are regarded as ignorant - an idiot - if you disagree with any of this "scientific" training information, or if you employ or advocate any training principles and practices which are at odds with its current versions . . . even if the training methods you use work very well for you! So, what's the solution, if you feel fed up with the glut of scientific training information, and if it hasn't worked out all that well for you? Why, unscientific training, of course! Let's look at some examples of the problem of scientific training and some possible concrete practical solutions via "unscientific training" methods, for bodybuilders unsatisfied with their results. 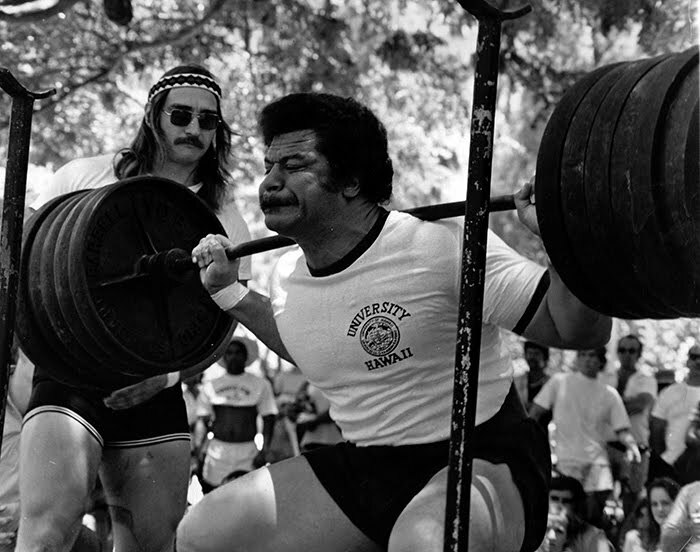 There are workouts advocated which are claimed to be, or are regarded by bodybuilders as scientific, and are intended or taken to be exact workout prescriptions. These usually include highly specific instructions on everything from exercises, sets, reps, relative poundages, performance techniques and more. Often, these workouts are regarded as the only correct way to train (ironically there are many of these around). Whether they are discovered or advocated by exercise physiologists, trainers, biochemists, etc., they usually have one thing in common: a standard application. That is, the workouts supposedly will work for everyone, and must be done in the same way by everyone; they must be strictly adhered to. Trouble is, what if you do all this and it just doesn't work? Within these workouts, there is usually a near-absolute prescription with regard to exercise selection. Certain kinds of exercises are often considered the best (or only) exercises to do. Usually, these recommendations include the large-muscle, compound movements for mass such as squats, bench presses, etc., because these are regarded as the most growth-producing according to scientific information. There is a lot wrong with this recommendation, even though as a general guideline it can be helpful and has a lot of merit, the thinking behind it also being fairly sound. It is not hard to observe, however, (or experience yourself), that no matter how good this prescription might sound, certain exercises don't work as well (or hardly at all) for some bodybuilders as they do for others. Take a bodybuilder doing bench presses for chest development. For some, benching does little to develop mass, shape, detail or upper body strength. And some bodybuilders can't use much weight in he exercise - they don't have a great potential for benching strength. No matter how this bodybuilder may work at it, he gets either poor or minimal results. Perhaps his individual structure is not suited to the exercise, or he doesn't have a lot of muscle cells in the chest area. Maybe he can't "feel" the exercise in his pecs or get much of a pump from it. But the exercise is supposed to be the best selection. What can he do? The solutions for the problem of "scientifically determined exercise selection" is not necessarily simple or foolproof. But if you have already been doing such a workout and aren't getting much in the way of results, then modify or change your exercises. If the bench press, as in our example, doesn't do much for you after a reasonable amount of trial time, try variations of the exercise. 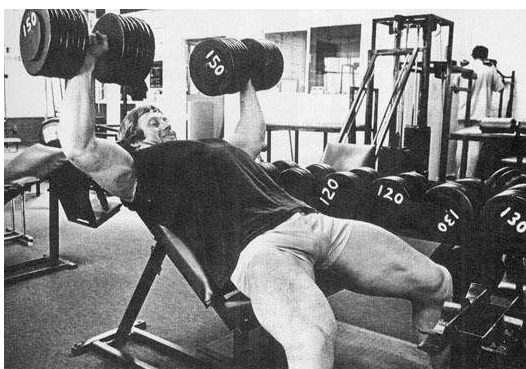 Do incline benches, try benches to the neck, bench with a wider grip, flare your elbows more, try dumbbells and different grips -- anything to get a growth stimulus where you weren't getting it with the regular bench press. Also, you might find that other chest exercises or certain combinations or other exercises along with the bench press and/or its variations might do the trick for a time. Even dropping bench presses from your routine altogether and simply using dips, for example, might give you better results. The key is to be willing to deviate from the current popular recommendations. This process can be used on any bodypart. Another solution may be to choose your own exercises in the first place. Building your own workout on the basis of your own planning and past experience, not simply accepting as correct some "scientific" recommendations can be very useful. Then you will be able to determine for yourself what works for you at this time, what might work even better later on when that isn't working anymore, and so on. You can experiment, try different exercises and methods, observe and note results and change things accordingly. This can ultimately be a more productive and definitely more satisfying way to go. Some "scientific" workouts insist you do a specific amount of sets per exercise, not only in conjunction with intensity, all-out workouts, but also for multiple-set, higher volume workouts. Most of us have had some personal experience with this, including the low-set all-out training. It is a case of something sounding good in theory, but seldom measuring up in the real world of training. Multiple set workouts with the insistence on a specific number of sets may cause you to overwork if there are too many sets for you, or could hold back your gains if there's not enough for you. Certainly try the low-set, all-out training, at some point, and note your results. And if you find a workout that you want to try that insists that "12 sets per bodypart has been shown scientifically to etc., etc." . . . try this also. Once you note your results, begin refining, changing and improving your set/rep schemes according to what works for you at this time. If you are training for strength and power you will have to, of course, check those results and see what's working best for you at this time. Remember, results, be they bodybuilding or strength results, are the bottom line here. If you are following a layout that insists 10 sets per bodypart is ideal, and have found that no matter what you can only handle 7 sets before fatigue sets in seriously, then you should be all means follow your body's findings. On the other hand, if you find that a certain bodypart responds best to 12 sets, then do just that. Modify the set volume of any given workout, observe and note your results over time, and zero in on what works best. This will likely change over time. Don't just stay locked in to a rigid, precise training habit simply because it has some sort of stamp of approval. Much like the problem of sets, we've heard that "8 reps are best for muscle growth," "high reps are not good for muscle growth," 5 reps are ideal for building strength and size," -- all kinds of "scientific" rules for reps have been touted. So what happens? You try these scientific findings and you don't get good results. You do 8 rep sets for your thighs and little if anything happens. Then you try lower reps. You get stronger but your thighs don't gain much muscle size, and they look like clumps. What do you do? Try and and all combinations you need to, no matter what the "latest scientific literature" says. If you keep moving the reps up in our example, you may find that 15 or 20 or 30 or more reps on squats, leg extensions and hacks works at this time for you. Or a combination of 5 reps squats and 15-20 rep leg extensions works. You will have to try several variations and combinations to find what works best for you. Bodybuilders have often found "unscientific" (you know that chart) numbers of reps - from singles for mass, to higher reps for strength - work for them. Sometimes you violate the rules and you get better results. Where does this really leave the "scientific" studies? The bodybuilder who is willing to experiment and discover what's working is often rewarded with greater gains than his less inquisitive counterpart. While this article mainly concerns training, nutrition is closely allied with it for optimum results. And while scientific nutrition has probably advanced bodybuilding more than scientific training, there are still some problems. While most people accept the general findings (1990) that too much fat in our diet is inimical to optimum health as well as bodybuilding, the diets for bodybuilders that suggest high complex carbohydrate, moderate or low protein, and extremely low fat often fail to take into consideration certain individual differences among people. You may follow a 60% carb, 25% protein, 15% fat off-season diet and not make the gains in mass you desire. And a massive bodybuilder may follow an extremely low fat diet to get cut up. Talk to any thin bodybuilder about a muscle gaining diet and you'll probably see their look of despair. And while one man may be leaning out with pasta and rice, it may make you look like a water buffalo. We all respond differently to various diets in general and foods in particular. If carb loading by numbers doesn't work for you, don't follow that exact formula, no matter what the experts say. Find out how your body responds to other methods. Practice them. Read, study, experiment on yourself and learn more. If you respond better to red meat in terms of muscle gains than the next guy, and you're fairly certain you're not jeopardizing your health by doing so, why not go with it? If you can cut up by including red meat and more fats in your diet than someone else (or the recommendations), and don't have any health problems with it (you may find you even feel stronger), then perhaps you've discovered your own "unscientific nutrition" plan. Back to training for a moment. Remember the "scientific" advice that a compound movement should be followed by an isolation one for maximum efficiency? Well, as Bob Kennedy originally discovered when it wasn't working for him in his shoulder work, he thought hard about it, and came up with the idea of reversing the order, along with vastly increasing the intensity by eliminating rest time to get a completely different effect. He came up with his pre-exhaust system. Violated the "scientific" training of the day. This is a perfect example of the kind of worthwhile approach to training that you should develop. As you can see, unscientific training is really an approach to training. It can begin by taking the scientific and/or accepted norms of training and then, by using human ingenuity, reasoning, observation, and practical testing to modify and improve or originate entirely different workouts and ways of training. The solution to the over-reliance on "exact" workouts, where almost everyone is training the same (in spite of the potential lack of lessening of results), is to forge your own training, investigate, inquire, observe, experiment, analyze, all the while. Bodybuilding, rather than being a pure or exact science, is really a live, flowing art form. And so is your body itself. 1) Think for yourself. Be Skeptical of absolute training programs. 2) Be Critical. Examine your routine, see where to improve it. 3) Modify any workout to suit you, with greater gains as the bottom line. 4) Experiment to find out what works for YOU. 5) Always be Open to Investigate the workouts and training ideas of others. 6) Apply. Take what you learn and include it in your workouts. 7) Observe. Note your results and the results of others. 8) Refine and Revise. Make further changes if you need to. 9) Analyze. Try to understand why something works for you or doesn't. 10) Think for yourself. Never stop thinking for yourself.